Many homeless people or those at risk of homelessness are struggling this winter as temperatures drop below zero in parts of Sydney. For those with pets, it’s even harder as they want to keep their companion animal safe and warm, too. On any given night in Australia, 1 in 200 people are homeless¹. 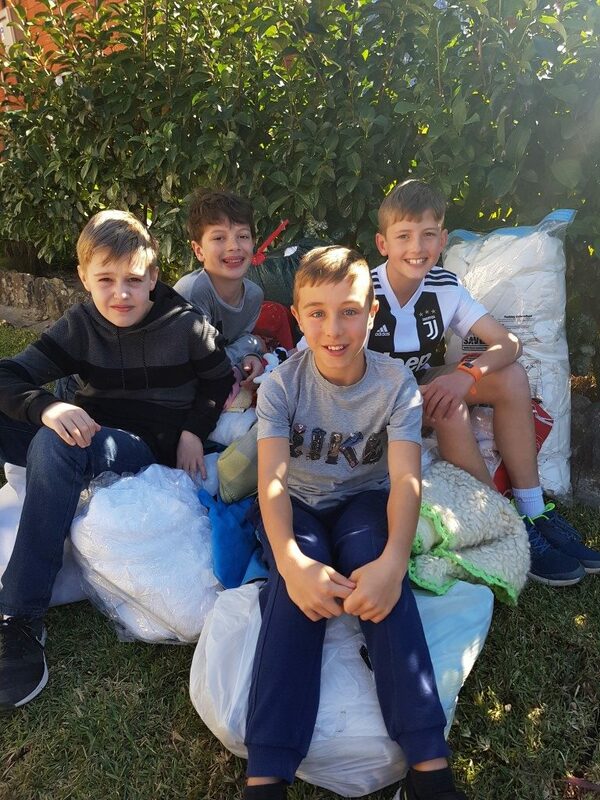 Wanting to make a difference, Year 5 students from Sydney’s Knox Grammar Prep School organised a blanket drive as part of the school’s annual ‘Compassion in Action’ project for Pets in the Park. 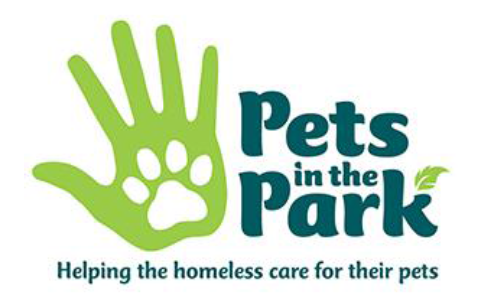 Pets in the Park is a national charity of volunteer veterinarians and veterinary nurses that provide free vet care at monthly pet health clinics and quarterly desexing clinics for much-loved animal companions of people struggling with homelessness. 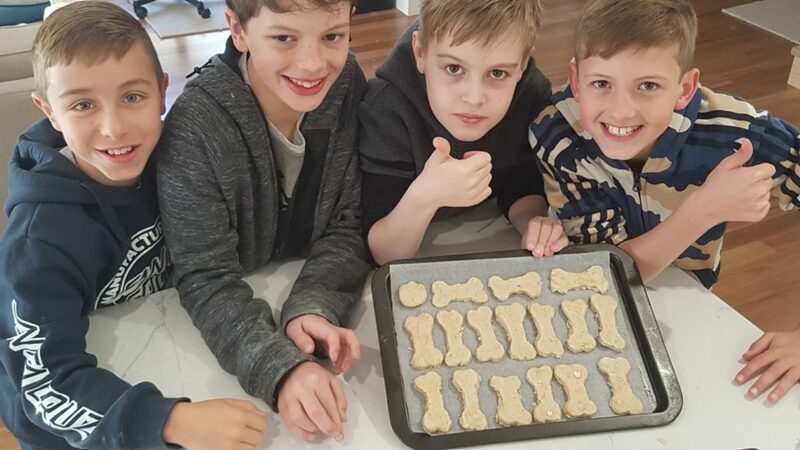 Four classmates Chester Swaffer, Max Byrnes, Hunter Goulston and Harrison Richmond delivered donated blankets – along with their homemade dog treats – to PITP’s Darlinghurst clinic last month. Dr Kelman said out of all the charities and organisations, the boys chose to help Pets In The Park because they wanted to help homeless people and their pets. “It’s so good to see young philanthropists wanting to help people less fortunate themselves, especially in this way. This also reinforces just how important pets are to everyone, including those who are homeless and disadvantaged,” he said. Homeless people or those at risk of homelessness lead a difficult and isolated life. Their pets provide them companionship, unconditional love, emotional support and security that they’re unable to find elsewhere. Today, PITP runs free monthly veterinary clinics in NSW (including a mobile ‘outreach program’ clinic in Sydney), Queensland, Victoria, Tasmania and the Australian Capital Territory. The monthly clinics operate on the first or last Sunday of every month (depending on the clinic) and are run by a strict client referral system. And without the generosity and compassion of people like the students of Knox Prep School, the charity would not be able to help those in need. Chester’s mum said she feels very proud of the boys choosing Pets in the Park as their charity, as pets are a very important part of people’s lives and happiness. “I have always owned pets, especially dogs, and find they bring so much joy to our family,” said Mrs Swaffer. 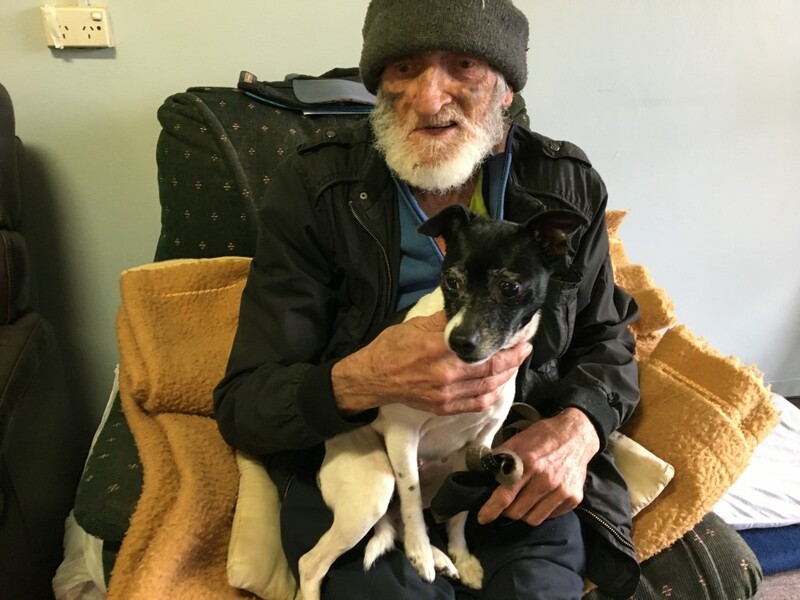 “Chester says seeing how much the homeless treasure their pets has made him more grateful for the happiness that our dog brings us. He was very excited to find so many people had left bags of rugs and towels to donate to PITP on their doorstep. It was like Christmas for the pets! To discover more about PITP, visit www.petsinthepark.org.au or follow Facebook.